The difference between the left and right seat is only a few feet, but it is many miles difference in terms of responsibility. As a new captain of a regional aircraft you will most likely feel that the fourth stripe is a pass to the good ol’ boys club, you are in charge now, you get to set the tone, you get to call the shots; as the saying goes, it is good to be the king. However, because training is being cut to the FAA minimum you might feel a bit overwhelmed when everyone is looking to you for every little answer, I am here to say this is normal. If you are reading this then you are probably looking to make yourself a better leader/captain; no matter what, your experience level may be, that is a good thing. they focus on their own interests, needs and concerns. focus less on others . act like the rules don’t apply to them. 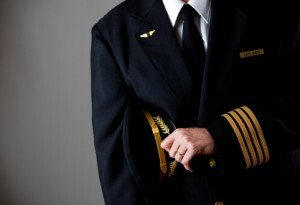 I have no doubt that as a Captain you will encounter one or even all three of these tendencies, we have all flown with good Captains and bad Captains; It is up to you to determine what type of Captain you want to be. A great leader will always try to put the needs, interests and concerns of his or her underlings ahead of their own. There is not one magical thing that will make you a good captain; it is the little things that you do as a Captain that will add up, and ultimately set you apart. I always will do the first flight of the day walk around and any walk around that it is raining or snowing, not just the sunny/70 degree ones. If a crew member, that works a flight with me, is trying to make a commute I will do the last leg walk around or clean up and cross seat belts in the back to let that crew member shave off a few minutes and get going. If the trip gets delayed and we are running behind with no time for food, I will make it a point when I pick up the release to also get a slice of pizza or something for the first officer. All of these little things help to build a rapport with the crew and say we are here as a team; the better we work together the smoother the operation will go. The best advice I can give to a new Captain is: act as if you are always being watched, because you are. It has been documented that in a tribe of baboons every member of the troop will look over at the alpha male to see how he is acting, to see how they should be acting. If he is nervous and scared they will find shelter and start to run. If he is calm and collective they will keep doing their job. You set the tone from the second you arrive. Being the first in the hotel lobby, shirt ironed, pants creased sends a message to the crew that you are there to work. With this, you will have to read each individual situation to feel how high you are setting a bar. Tommy Lessora, manager of the Giants said, “managing is like holding a dove in your hand, you hold it too tightly you kill it, you hold it too loosely it fly’s away.” You don’t want to set a tone that you are never bending and have lost touch with what it is like to be human, however you have to also let everyone know that rules have been put in place to prevent us from getting into a bad situation. This type of managing is described as being perfectly assertive, you are able to turn up the volume and go, or back off and let be at just the right time. Being a Captain is more about the relationships with the people that you interact with and less about the flying. It is assumed that you know how to fly an airplane, now you are being paid to manage and ensure the operation is running as efficient as possible. Works Cited: Sutton, Bob. What great leaders do. Stanford University, Stanford Technology Ventures program. 11 OCT 2010. Keynote speaker.